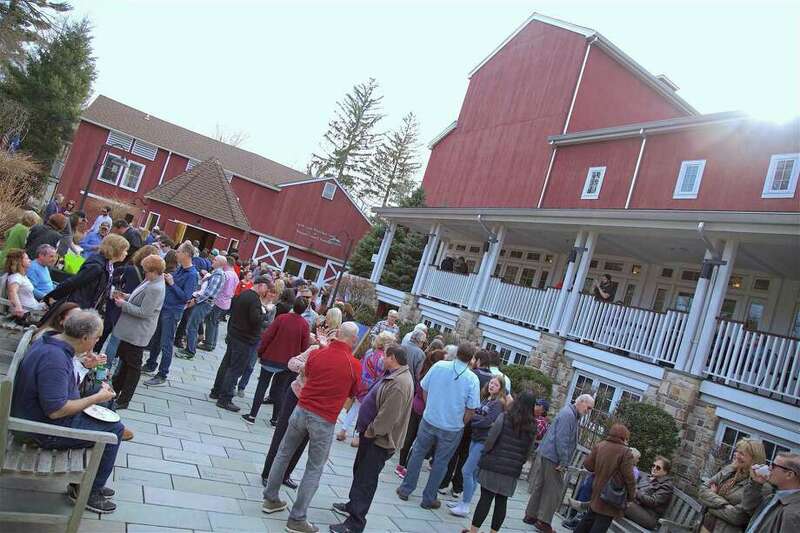 A big crowd turned out at the 2019 Season Kickoff Event for the Westport Country Playhouse on Saturday, March 30, 2019, in Westport, Conn.
WESTPORT — The Westport Country Playhouse welcomed in spring Saturday afternoon by inviting the community to its campus. “This is like an open house to kick off the 2019 season,” public relations manager Patricia Blaufuss said of the free event, which included a chance for patrons to get discounted ticket packages for the season. “This is the 89th season,” she said, with “In The Heights,” the first of its five shows this year, opening on April 23, and the entire season running through November. “We want it to be like a community event so people can enjoy the playhouse,” Blaufuss said of the open house, which included drink and dessert samplings in its courtyard, as well as a couple of songs and dialogues with show directors inside onstage.